As more and more carriers schedule their flight for a late night arrival or departure in the early hours of the morning, people are often left with not so many options to make their flight to or from Dublin Airport. Pre-booking a taxi to Dublin Airport is the less stressful way to either getting to Dublin Airport without sleepy- driving at 4am (and pay a fortune for parking in the airport), or to get home as soon as possible without having to worry about a thing when you’re tired coming back from your holiday, short break or work trip. In the above scenarios (and many more!) NRC has got you covered. If you’re not familiar with NRC, we’re an Irish-owned and run taxi company that specialises in getting customers wherever they need to be faster and cheaper than the competition. 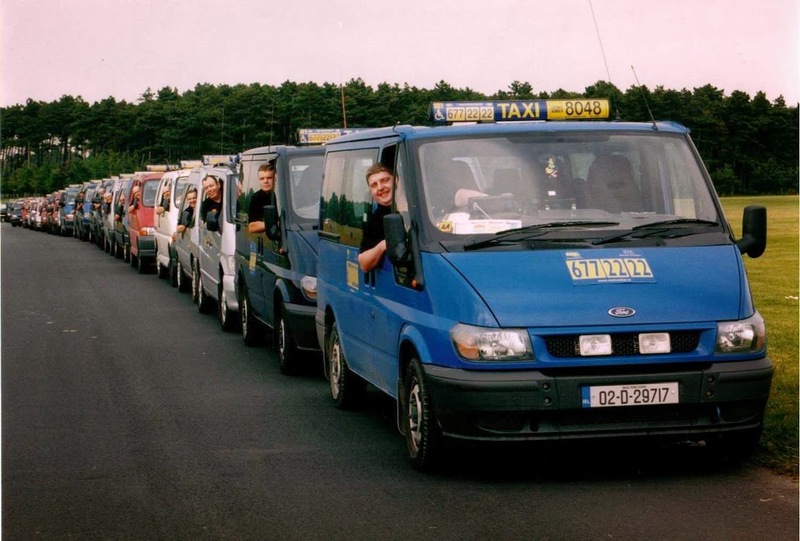 This is thanks to our fleet of over 900 taxis which are on standby ready to take your call 24 hours a day in and around the greater Dublin area. We’ve been in the business for over 60 years so you can rest assured that our service is as fast and reliable as it needs to be! Below is a series of handy tips if you wish to seek a hassle-free trip to and from Dublin Airport. 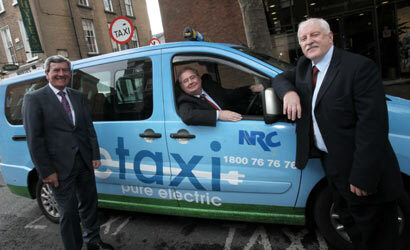 If you are arriving to Dublin airport you can book your NRC Taxi in advance on www.nrc.ie. You can email your flight details to NRC and we’ll monitor your flight details so we’ll be there when your flight lands avoiding any delays! Can I pay by Laser/Credit Card? Don’t worry about having cash – all our taxis have in-car chip and pin machines making it easier and more secure for you. Where will my NRC Taxi wait for my when I arrive at Dublin Airport? Taxi ranks at Dublin Airport are located in the arrivals floor so if you pre-book a taxi your driver will be waiting at arrivals with a sign with your name! For the corporate traveller, most taxi companies provide executive cars offering the additional comfort after a long flight! Can rush hour traffic be a problem? Peak traffic times in Dublin are from 7.30am – 9am and 5pm to 7pm so bear this in mind when booking your flight. Do I need to bring child seats for my kids? How long is the taxi journey to/from the airport? The journey time into the city centre can vary from 40 minutes to 1 hour so make sure to factor this in when booking your flight! What if I have lots of luggage? If you have a large amount of luggage or additional passengers make sure to book one of our shuttle buses or larger people carriers and we’ll have a large taxi ready for your journey. Is a taxi to the airport more convenient than a bus? It can be. If there are 4 or more in your party it is probably cheaper to get a taxi than to get an airport bus. Why not travel in style and save money!! Contact NRC Taxis to today on 01 6772222 or visit www.nrc.ie to book your taxi to bring you hassle free to or from Dublin Airport! Come back to NRC and get your 1st month free and win €100 cash! NRC Taxis are delighted that there has been an increase in both cash and corporate jobs even over the summer and figures are continuing to grow! So come back to NRC Taxis and reduce your costs at the same time! So what can NRC Taxis offer you? We’ll give you the first month free and all new drivers and referrers during the months of August and September could win €100 cash! So if you want to join Dublin’s leading taxi company contact Peter Kelly for more details today on 7089214 or email peter@nrc.ie. Don’t forget if you sign up before 30 September 2016 you’ll get the first month free! NRC has an established reputation as a leading supplier of taxi services to the corporate market. With our dedicated driver services and dedicated account manager we are the business taxi specialists. NRC Taxis offer our customers both professionalism and efficiency. Call Jason Fitzpatrick on 01 4544070 our Corporate Account Manager to discuss how we can best meet the needs of your business. Also, you can find out more information about NRC’s Corporate Taxi Services here. Business meetings are an important part of how many businesses operate from sales meeting to customer service meetings and conferences the list is endless. The first step in impressing a prospective or existing customer is being on time for your meeting. A reliable business taxi partner is vital in ensuring that your staff are on time for business meetings across Dublin. Your staff can concentrate on planning for the business meeting leaving the driving to your reliable business partner NRC Taxis. NRC has an established reputation as a leading supplier of taxi services to the corporate market. Our clients include government bodies, large financial institutions, multi nationals and SME businesses. Fully licensed, knowledgeable and uniformed drivers. NRC are fully licenced by the NTA and have a Dispatch Operator Licence giving you the knowledge that ALL our drivers are fully licenced. Don’t get caught out-use a fully licensed taxi company at all times!!!! Why not book with us today and experience our professional and efficient service? Call Jason Fitzpatrick on 01 4544070 our Corporate Account Manager to discuss how we can best meet the needs of your business. NRC Taxis are looking for drivers to join their fleet. If you are currently driving with another firm why not have a chat with us to see the benefits of working with NRC.